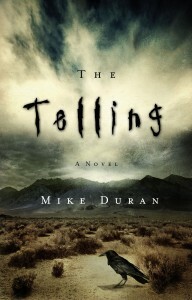 Thriller author Mike Duran was kind enough to answer a few questions about himself and his adventures in writing. Be sure to check out his books on Amazon.com! Well, I live in SoCal with my wife and four grown kids. I’m an ordained minister and actively pastored a church for over a decade. I’ve since left the full-time ministry but remain active in church. After leaving the ministry, I returned to the construction field. This is where I got the idea to start writing, which I did on my spare time. I joined an online writers group, experienced some moderate success in selling some pieces, and things just kind of took off from there. Tell us about your writing. What genre(s) do you specialize in? I gravitate towards speculative fiction. Things like horror, dark fantasy, sci-fi, magical realism and surrealism all interest me. Since I started writing in 2005, I’ve been tinkering with style and genre, trying to implement new techniques and grow as a writer. So I can’t really say I “specialize” in any one genre. I’m still very much in the early stages of exploration. Hm. That’s hard to answer. I suppose I just needed an outlet for creativity. The ministry, believe it or not, provided an outlet for intellectual rigor and creative expression. I had a habit of study and research, which I would then package in sermons and teaching. I was always trying new stuff in sermons, trying to engage people. This is a real challenge in our culture as we’re fixated by electronic media. This discipline has helped and inspired me as a writer. I want to try to connect with people, to use my gifts to illuminate something, disturb someone and challenge them. This is one of the motivations that keeps me writing. I’m definitely not a Seat of the Pants writer. I tend to think things out, plot it out on paper before I start diving in. Like driving, I like to have a destination in mind and directions how to get there before I fire up the engine. (Of course, this works a little different for short stories and novels.) When considering a novel, the process for me is usually one of assembling ideas, slowly parsing them, sketching rough outlines, and then, when I feel I have enough to invest in a story, I’ll launch in. The process is not set in stone, and I really need to learn to flex more. But that’s where I’m at at the moment. What authors and/or important works have had a profound influence on you and your writing? Many of the books that have inspired and influenced are non-fiction. But I’ll stick to fiction here. Perelandra, the second book of C.S. Lewis’ Space Trilogy really inspired me. Lewis demonstrates a philosophical rigor that engages the reader while creating a unique sci-fi world. I’m also a big fan of Dean Koontz, especially his Odd Thomas character. Love the exploration of larger themes, like life, death, and the in-between, through the eyes of a quirky character. And myth, fable and fairy tales, have long fascinated me. Adult works like George MacDonald’s Phantastes, Adams’ Watership Down, The Book of the Dun Cow by Walter Wangerin, and Till We Have Faces, by C.S. Lewis. I’ve recently completed an Urban Fantasy which my agent has started shopping. It’s about a paranormal reporter who must free his dead girlfriend from the clutches of a brilliant occultist who’s building a massive ghost box in downtown L.A. Also, I’ve started work on a memoir related to my adventures in the ministry. My home is www.mikeduran.com. 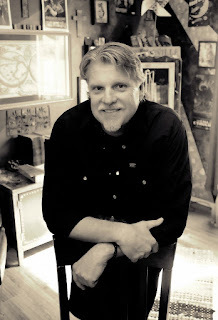 I blog regularly there about all kinds of topics. From there, folks can track me down on Facebook, Twitter, and elsewhere.